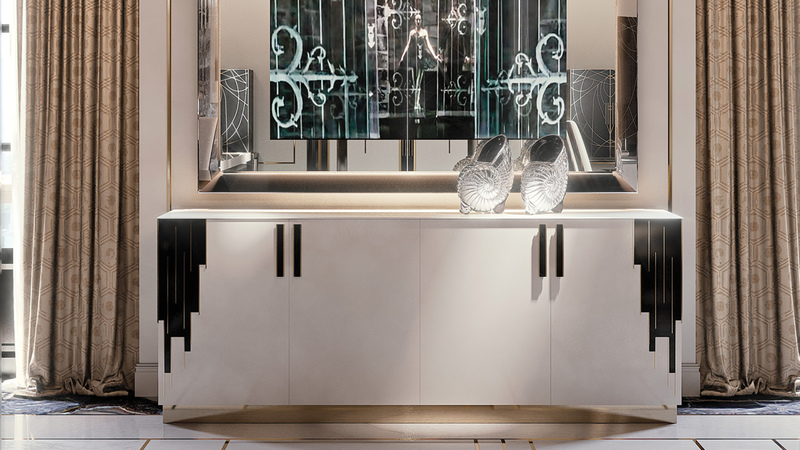 Buffet with wooden structure shiny lacquered latte, nero beluga, fumo or henné colour. Sides with shaped decorations in shiny lacquered wood, contrasting colour. Plinth in antiqued dark brass finish. 4 doors with metal handles in glazed gold finish and glass details, same colour of the decorations. Internal shelves in transparent glass.